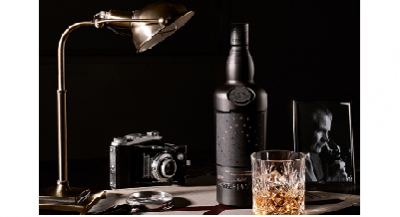 Whisky Mag - Emily Stockden writes for us about how whisky is made. 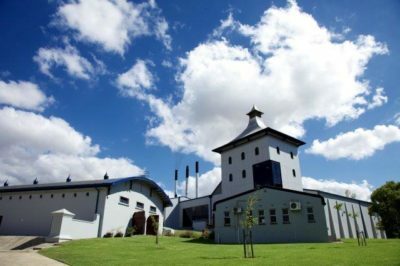 Emily Stockden writes for us about how whisky is made. Grain mash + Water + Yeast = Whisky. Is it really that simple? Whisky or whiskey is a distilled alcoholic drink made from fermented grain mash, water and yeast. Sound simple? So which grains? There are many different grains that may be used and which result in different varieties. The most common are barley (which can be malted – more about that later), maize, rye, and wheat. The good news is that the barley doesn’t have to come from Scotland for the whisky to be called Scotch whisky! In fact, a lot of it comes from England and South Africa. In this case, it’s not about the origin of the barley, but the quality. Water. Straight from the tap? No way. The quality of the whisky depends on the purity of the water hence Scotland, famous for its crystal clear water, originating whisky. Water is added to the ground malt to produce the wort (this strange word means the infusion of mash before it is distilled). It is also used for cooling the alcohol as it comes out of the still and – obviously – to reduce the alcohol content at bottling. You’d also need a barrel: whiskies are aged in wooden casks, generally made of charred white oak. There are many different types of wooden barrels. You’d need to decide if you want to use a new, oak barrel, freshly charred by a cooper or if you want to use a barrel that has had something else in it previously to lend certain flavour characteristics. A favourite is Oloroso sherry casks or American bourbon casks for the sweetness that they imbue on the whisky. Malting in a nutshell: barley contains starch which must be converted into soluble sugars to make alcohol; in other words, barley must undergo germination. The type of barley used is a key decision for the distiller and most will go for a type that yields a high amount of a sugar at the lowest price. The better the quality, the higher the sugar yield. After it has been screened to remove foreign matter, the barley is soaked for 2 to 3 days in warm water and then traditionally spread on a concrete floor of a malting house. The process of soaking is called steeping. It is turned regularly to maintain a constant temperature and to control the rate of germination. On a commercial scale, this happens in large rotating drums or large rectangular boxes called Saladin where temperatures are controlled by blowing air upwards through the germinating grains. You can imagine that this process is rather time-consuming and so more recently, owing to the huge demand for Scotch Whisky, distilleries have been obtaining their malt from centralised maltings which supply a number of distilleries, making malting more economical. It takes roughly 8 to 12 days for germination to start happening; the weather and quality of the barley, among other things impacts on this process. The most important thing about germination is the secretion of an enzyme called diastase making the starch in the barley soluble. This is a key step in getting it ready to convert to sugar. As the barley starts to shoot, germination has to be stopped by drying it in a kiln, a Saladin box or in drum maltings. The last 2 happen mechanically. Traditionally peat is used to power the kiln and it is at this point where the type of peat used and length of drying in the peat smoke can influence the flavour of the final spirit. The barley is now called ‘malt’ and this is ground down in a mill, with any husks and other debris being removed. In case you missed it, go back and read part 1 and part 2 of “How is Whisky Made?” Here’s a quick summary: Whisky is made from water, grain and yeast. Once the grain has been steeped, laid down on a floor or placed in a Saladin to germinate – which releases the enzyme diastase to make the starch more soluble – and then dried in a kiln to stop germination, it is ground in a mill and becomes what is known as grist. So it goes from Malt to grist. The grist is added to warm water to start extracting the soluble sugars. Glen means ‘valley’ and most valleys have been formed by water running through them. 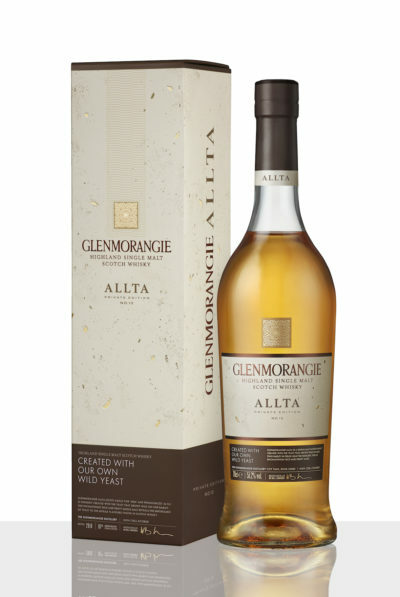 You’ll notice that there are many whiskies that start with “Glen” and this is normally where the water is from. Most distilleries are next to a river or a lake to supply them with a pure, reliable, local source of water. This water can often influence the final spirit as it can contain minerals from passing over or though granite, peat or other rock. The liquid combination of malt and water is called the mash. It is put into a large vessel called a mash tun and stirred for hours. This is the process that causes the sugars in the malt to dissolve and these are drawn off through the bottom of the mash tun and this liquid is called wort. Mashing is usually carried out three times and each time the water temperature is increased to extract the maximum amount of sugar. An important note here is that wort from the first two times only is used. The rest is put back into the next batch of new grist. Any residue, such as husks, is called draff which is collected and usually used to make farm feed. After cooling, the wort is passed into large holding tanks called washbacks which can hold from 9 000 all the way up to 45 000 litres of liquid. They’re typically made from wood but nowadays most are made from stainless steel. This is really where fermentation starts as yeast is added at this point. Just as distillers take the selection of grain very seriously, so they take the selection of the strain of yeast used as seriously because it has a slight impact on the flavour of the final spirit. So what does yeast do? Essentially it converts the sugar in the wort to crude alcohol. Fermentation takes approximately 48 hours although some distilleries leave the fermentation process to run its course a little longer as they are aiming to get certain characteristics from the fermentation process. The liquid at the end of this process is called wash and it will contain a low alcohol by volume (ABV) of between 5% and 10%. This is the stage when it’s most similar to beer or ale, but at this stage, the whisky fork in the road requires distillation rather than brewing. A quick recap to this point: grain, water and yeast are the key ingredients needed to make whisky. Once the grain has been steeped, laid down on a floor or placed in a Saladin to germinate and then dried in a kiln to stop germination, it is ground in a mill and becomes what is known as grist. So it goes from Malt to grist which is then added to warm water and become mash. Mash results in wort captured in the mash tun. Wort is essentially water mixed with soluble sugars that have been extracted. This is then thrown into the washbacks where it’s mixed with yeast during fermentation. (For more information go and read parts 3 and 4 of “How to Make Whisky”.) And finally, we arrive at distillation. There’s triple-distilled – a phrase made famous by Jameson Whiskey – which is a characteristic of Irish whiskey, and in Scotland, the wash is traditionally distilled twice. It goes without saying that there are exceptions in both countries, like Auchentoshan which is a Scotch whisky but which is distilled three times. We’re talking double distillation here. The stills are made from copper because it is the best material for extracting impurities from the spirit. A still has a bowl shape at the bottom that and it rises up to the neck at the top (sort of like a calabash). In principle, they all do the same thing, but a different shape will give a different flavour and character to the final spirit. Taller stills with longer necks – like those at Glen Grant – will give finer, lighter spirits while shorter, fatter stills will produce a fuller, richer spirit. You’ll notice that there are normally rows of stills or at least two side-by-side: this is because they work together. The wash is placed in a large wash still and heated – nowadays by gas or steam (steam gives more control over the vapourising process) but in the old days by coal – causing the liquid to vaporise up the still until it hits the neck where it condenses. The principle of distillation is really straightforward: water evaporates at 100% while alcohol evaporates at a lower temperature so it is be transformed in vapour and raises into the still before water begins to evaporate. The liquid made during this process is called low wines. Low wines move to the second still and any residue is collected and used to make (you guessed it) farm feed. The second, smaller still is called the spirit still and it’s here where the magic happens. The distillation heart (which is 63 – 72% of alcohol) will be placed into casks, while the feints (the left overs) will be reused, together with the low wines of the next distillation. The spirit safe is what separates the feints from the distillation hear and was used to determine the quantity of alcohol produced to calculate the taxes due by the distillery. The spirit is put into oak casks and stored. 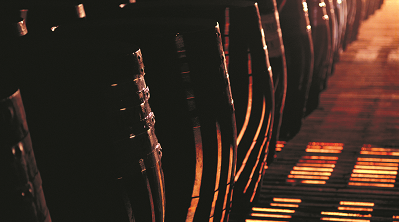 The most common types of oak casks are those that have previously been used in the American bourbon and Spanish sherry industries. The spirit must mature in casks for a minimum of three years before it is legally allowed to be called whisky in Scotland. During maturation, the flavours of the spirit combine with natural compounds in the wood cask and this gives the whisky its own characteristic flavour and aroma. Wood is porous, so over time, it will breathe in air from the surrounding environment in which it is stored. 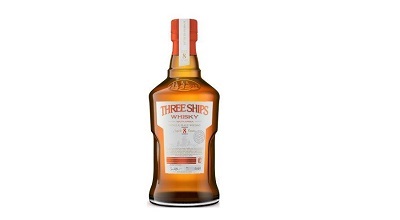 This will also give the whisky some unique characteristics. If the distillery storage facilities are next to the sea, on an island or in the middle of the Highlands then the air quality, temperature and humidity will be different and influence the end product. During each year of maturation, about 2% of the spirit is lost through natural evaporation. This is called the ‘angel’s share’ and explains why older whiskies are less readily available and more expensive to buy. There is simply less whisky in the cask to bottle. Emily consults in Communications, Content Management and Business Development (Commercialisation strategy and Marketing). She ran Whisky Live for a few years, developing a passion and whisky brain!